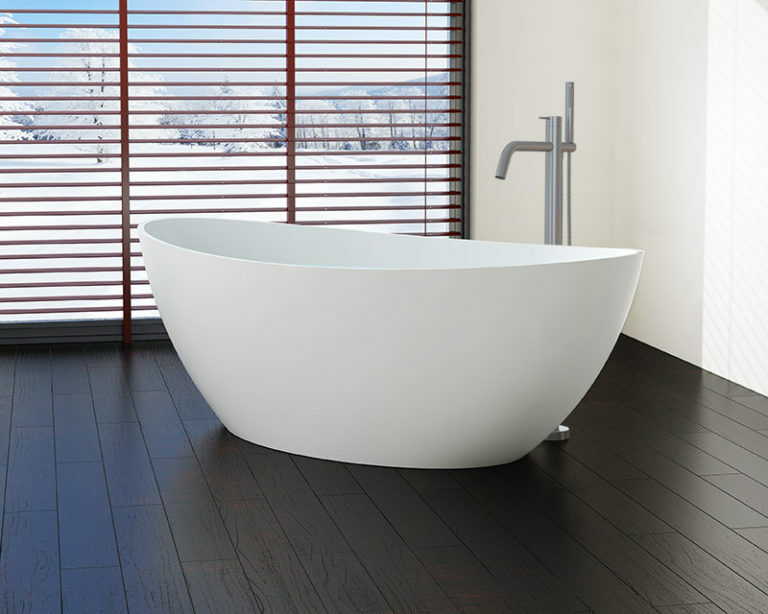 Recharge and unwind in pure relaxation with the modern BW-03-M freestanding bathtub. The soft curves of this tranquil basin promote wellness as they bend to fully encapsulate you while providing substantial space for movement. Have you ever been hugged by a bathtub before? This is how it feels. Style and function come together in the BW-03-M as high-quality materials meet dependable design; the foundation of the tub is lightweight yet strong and the non-porous finish protects against moisture and humidity that might damage your bathroom. Built with a stone resin composite and crafted to be the center of attention, this environmentally conscious tub conserves water and space while maximizing depth, so you can enjoy peace of body and mind as you submerge completely in steamy bubbles. And thanks to space optimization and heat retentive materials, your bath will stay hotter and last longer without needing to refill. Convert your bathroom into the sanctuary you deserve by choosing between Matte White or Glossy White and wall-mounted or floor-mounted faucets. The BW-03-M balances beauty and design, bringing modern antiquity and unrivaled sophistication to any bathroom.